Am I Really Buried Under a Pile of Pottery Barn Catalogs? | Am I Really? ← Am I Really Watching a Trailer for Another HOBBIT Movie? Am I Really Buried Under a Pile of Pottery Barn Catalogs? 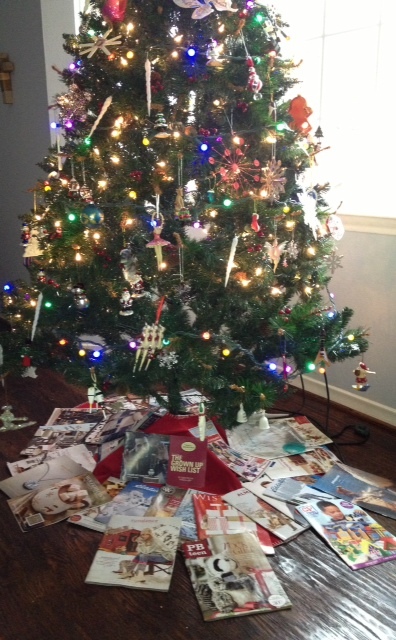 Okay, so maybe the last bit is an addition, but while we snuggle under blankets with our hot chocolate, it truly ‘Tis the Season for giving and receiving five hundred catalogs in the mail. Every day. So many glossy pages of monogramed sleds and puppy sweaters. So many ways to say “Happy Holidays” with a basket of pickled nuts. I have run out of space to store all things mail order. Tree Skirt. See above. p. 186. Only $98.99 $16.49! Order by Dec. 18. Holiday Foods. 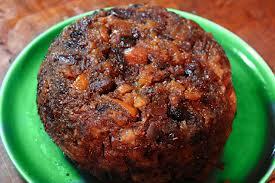 All too often I have asked myself, What the hell is figgy pudding? I have never tasted this delight, never been offered it, but we sure do like to sing about it in We Wish You a Merry Christmas! I bet you could make some in that Juice Bullet from the Bed Bath and Beyond catalog. Er – no thanks. I’m full. Biblical Recreations. 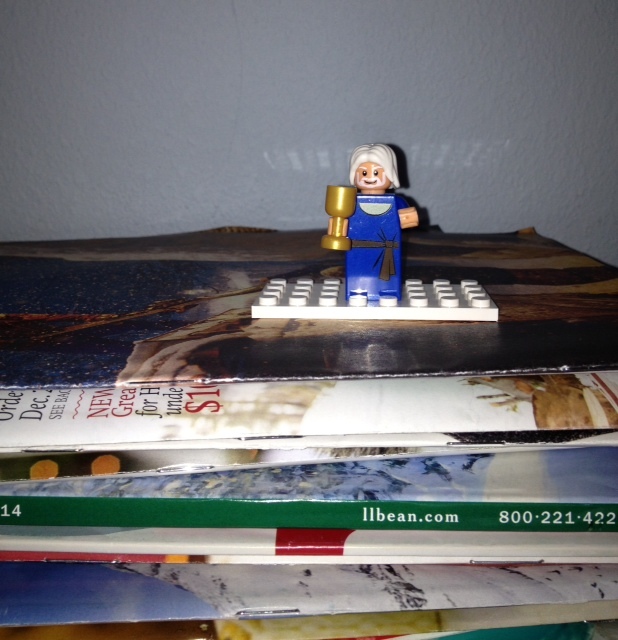 You could make a paper Mount Sinai for this Lego Moses (which actually might be a Lego Judas, but let’s not split hairs). Christmas Outfits for your Children. Let’s face it folks, it could be worse. Dog Blanket. Awkward Dog Blanket. A Sad but Early Demise for you Elf on the Shelf. 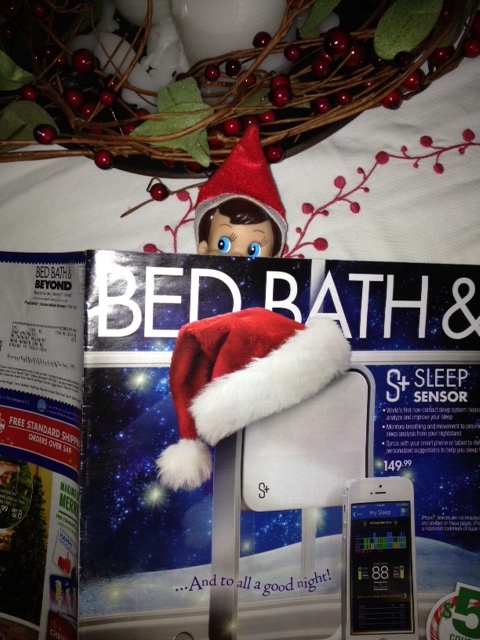 My daughter loves Elfie, but maybe the Elf gets wacked by a pile of catalogs. I don’t know. I didn’t see nothin’. Toilet Paper. Be THAT person who only wipes their fanny with the Weir’s catalog. Or maybe TP the neighbor’s house with Harry and David catalogs. Yep. You are just that classy. 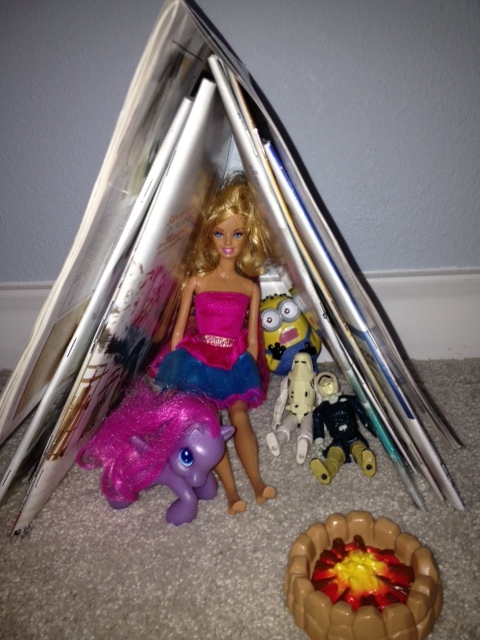 A Yurt for your Child’s Barbies/Chima Dudes/Star Wars Action Figures. Save yourself some money and time and build this dwelling. When your child start’s crying Christmas morning about how this is not the Barbie Town Home and/or the Death Star, kindly explain that it is 2014 and you are just being eco-friendly and trying to remove your carbon footprint. Then state that your family will be going gluten-free and swipe the cookie right out of her/his hand. Re-Gift. Can’t figure out what to get the person who has it all? Give them a stack of your catalogs. Then they can look at all the stuff you will not be giving them this year. 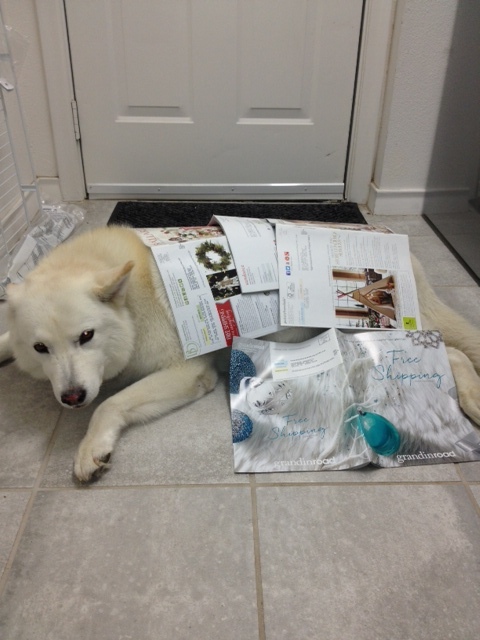 Oddly enough, catalogs are like little presents in the mail. They are shiny reminders of all the cool stuff I will probably never buy, never use, but simply must have! I review them in a glossy-eyed stupor late at night, dog-earing every other page. Then I toss them in the recycle bin one month later. Not this year. This year I have found many uses for the colorful registries. I also have found some pretty cool things which I plan on buying. But not those pine-scented votive candles for $69.99, that’s ridiculous. Posted on December 4, 2014 by Catherine Brockette	• This entry was tagged catalogs, Christmas, christmas catalogs, Gifts, Holidays. Bookmark the permalink. Enter your email address to follow this blog and receive notifications of new posts by email. And hugs. Am I Really Telling the Cashier, “Don’t Call Me Ma’am”…Ever? Am I Really Repeating Self-Affirmations in a Scratched Pocket Mirror? Am I Really Hugging Myself…Then Throwing Up in My Mouth a Little? Am I Really Letting the Hem Out on My Mini-Skirt? Am I Really Looking for My Mojo at the Luby’s Lost and Found? I take boring stuff and make it funny. Usually.